You should receive top and bottom enclosure including vario/gps module/battery, with set of screws and industrial velcro tape. Glo ereader (released in 2012) is not manufactured anymore, but still available from online stores or auctions. Be aware that batteries in these devices might be in poor condition. Even batteries in sealed box units could degrade over this period of time. Touch2 has cheaper standard eink display, ghosting is more noticeable but still has better performance if compared to old eink technology (Mini, Touch,Glo), there is no backlight. 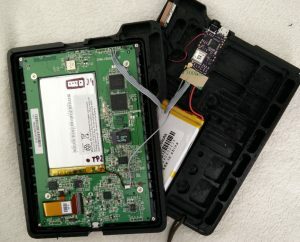 ereaders use very popular microUSB charging/data exchange interface. These ports are fragile, easy to break, so it is strongly recommended to charge ereader at home, not in flight from battery banks. all ereaders used to run flying apps like LK8000/XCsoar/TopHatSoaring have tiny linux operating system inside running from SDcard. Actions like power up, power down, hard power down are requiring some time, hold the button for second or two, or wait little bit after device is powered down. Linux takes few seconds to power up or shut down. Hard power down is accomplished by holding power button for more then 10 seconds. When switching from flyin app to ereader (using Nickel button or Kobo on the main flying app screen), ereader shuts down and restarts which takes about 30 seconds. it is good to have SDcard backup, in case something gets corrupted. When preparing device to assemble with KIT, power down Your ereader, remove SDcard, and using free SDcard imaging/deploying apps (HDDRawCopy, or Win32Disk imager) create image from Your SDcard. Card imager will create image that can be used later on to restore SDcard. ereader SDcards have multiple partitions, with linux file system format. If You remove SDcard from ereader and insert into Windows based PC, windows will detect wrong card and ask You to format it. Do not accept formatting SDcard. Card imager apps are working on low level access, and do not care if card is formatted or not. If You format Your card, windows will destroy the file system, and there will be no option to create functional SDcard image. If You need help on this always contact me over my contact page and leave proper email address. most flying apps like LK8000/XCsoar/TopHat are open source, and it is known that every couple of weeks there might be new improved version available. These apps are created/improved by multiple pilots/coders. There is lot of feedback from around the world. Update app if You know what You are doing. Join forums or submit tickets if You are sure that something is not working properly or something worked before and now it doesn’t. 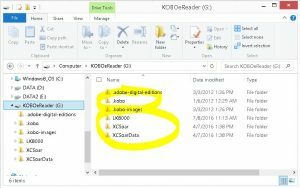 Upgrading flying apps or swapping to a different app is matter of copying one file into ereader (when connected over usb cable). It might happen that installing script will corrupt something so keep backup of Your settings (LK8000 folder, and/or XCSoarData folder). Also it is good to have SDcard image, so You can always recover ereader to factory state and then install app and settings from scratch. When charging ereader, it is good tactic to turn the ereader OFF. Plugging usb charger always triggers ereader to power ON. Turn it off, and charging will be quicker and more efficient. Always use good quality USB charger (5V 1A or more). Charging ereader from PC’s USB socket will take forever. Keep in mind that we are using ereader with tripled battery capacity. Please read LK8000/XCsoar/TopHatSoaring manuals on their websites. Knowing how these apps operate helps a lot to set the apps properly and make proper use of it. Learn flying app on the ground. Learn when driving to work/school. Be familiar with the screen, data presented on the screen and how to operate it before flying or attempting big competition event. There is no easy option to have multiple flying apps on the same ereader device. Every app takes over the device, and to change flying app to different one, You do not have to delete anything from ereader. 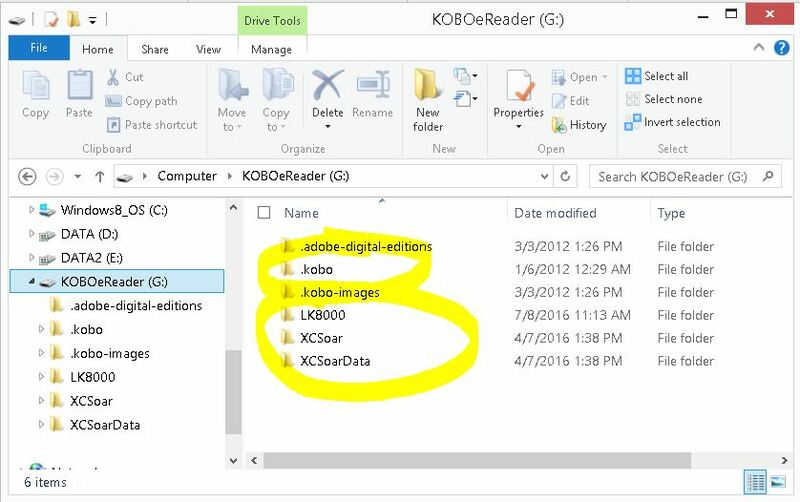 All settings folders and files can stay on ereader drive. put the ereader inside top V5 KIT bezel, watch for wires and gps antenna wire, and close both sides of the V5 KIT together. use provided 12mm long screws on the back side of V5 KIT, be gentle with them. Do not strip the screws or threads in the plastic enclosure. turn ereader ON, and if everything is ok, vario should make welcome beeps. flying app, no matter which one, has its own installation package named “KoboRoot.tgz”. 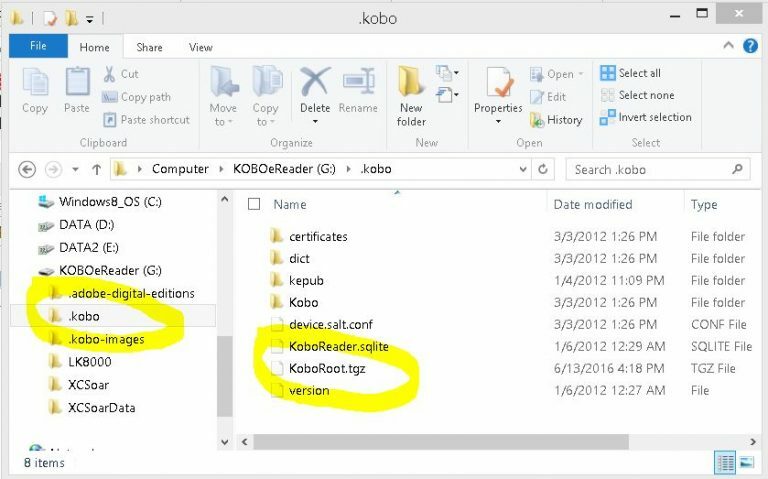 This installation package has to be copied into .kobo folder. 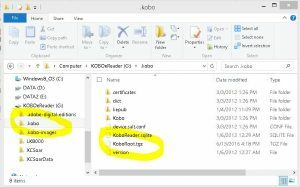 .kobo is system folder, and when ereader detects new KoboRoot.tgz package inside this folder, it will process it, install and delete. ereader will start processing new installation package as soon You disconnect usb cable from ereader. Installation process takes about 1 minute, ereader will restart at the end and flying app should take over ereader device. download maps, airspace files, terrains files for Your preffered flying app. You can download many files and copy into dedicated folders.